The summer season is upon us and this means more time to ride a bike. Unless you are walking, the best way to explore NYC is by bicycle. Exploring New York City by cycling is exhilarating, convenient and offers a great workout. Even for seasoned riders, it can also be intimidating. Regardless of skill level, some things are paramount for cyclists on their custom bicycles and they are smooth pavement, no cars and a scenic view. Luckily there are many routes in NYC that fit the bill and you will soon see the concrete jungle from a new perspective. This boardwalk offers a 4.7 mile ride with a view of one of New York City’s most popular beaches. Riding is permitted on the boardwalk for a majority of the year but from Memorial Day to Labor Day, riding is only allowed before 10 a.m. and after 6 p.m. due to the crowds of beachgoers. 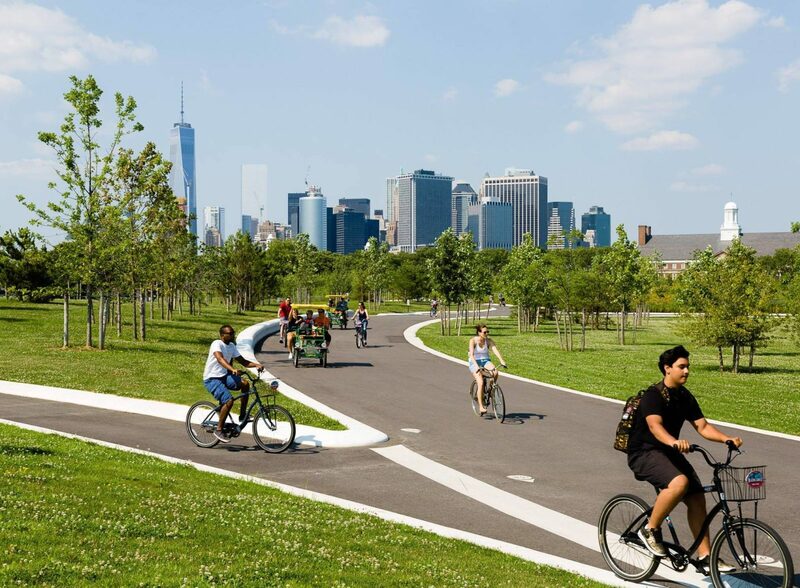 The Hudson River Greenway is the most heavily used bikeway in the United States. It is also a part of the larger East Coast Greenway, which extends roughly 300 miles from Florida to Maine. This specific part extends 11 miles from Battery Park to Little Red Lighthouse at the George Washington Bridge. It passes through four parks with stunning views of the Hudson River and New Jersey skyline. This well-paved, 172-acre island in New York Harbor with (almost) no motor vehicles in sight. The waterfront views of the lower Manhattan skyline, as well as the Statue of Liberty, may actually cause you to rub your eyes in disbelief. Even if you do not own a bike, there are plenty of shops that offer the best city bikes, quadracycles and tandems for those who need them. Central Park provides cyclists with three various paths of 1.7 miles, 5.2 miles, and 6.1 miles. Biking at Central Park is the perfect way to tour America’s second most visited attraction, but for bikers wishing to take their visit to the next level, Central Park bike tours are available for booking through Central Park’s official site. So get ready and wear your helmet, and enjoy!